Tents prices start from R5,500 for our 5m x 5m peg and pole tents , and stretch tents 5m x 10m starts from R12 500.00, however, we also accept any custome sizes or call us to get all prices list. Tents Manufacturer is the industry’s biggest tents, marquees, accessories and portable mobile units manufacturer in South Africa. Shop with confidence with our quality assured products to ensure that your business, event or function is a success. 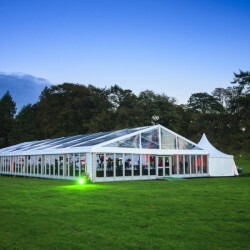 For the largest range of stretch tents, marquees and portable mobile units with a complete resolution to your event and business needs.We manufacture and supply tents for all occasions from funerals, weddings, exhibitions to church events, private parties & industrial projects at reasonable prices to buy. We are leading aluminium tents manufacturers in South Africa based in KwaZulu Natal.we deliver to the nearest depot for free. Pagoda tents coming complete with lightweight, aluminium or galvanised steel frames and PVC material. Where Can I Buy Tent Online? If you are looking for tents to buy in South Africa,we are readily available to buy from a leading marquee and tents manufacturer based in Durban. If you are looking for best stretch tents on the market then do not hesitate, Tents Manufacturer has pioneered the tents manufacturing industry by far with the variety and quality of tents at affordable prices. © Copyright 22-04-2019 08:09:08 by Tents Manufacturer. All Rights Reserved.